Synonyms: Acanthosyris platensis, Osyris spinescens. 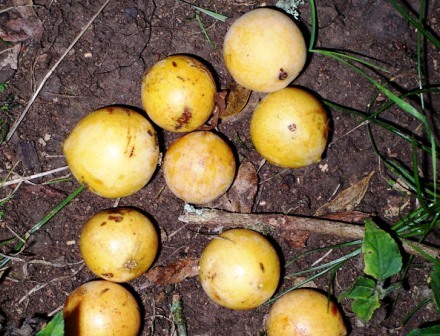 Sombra de touro is a very little fruit from Brazil. This is not cultivated. 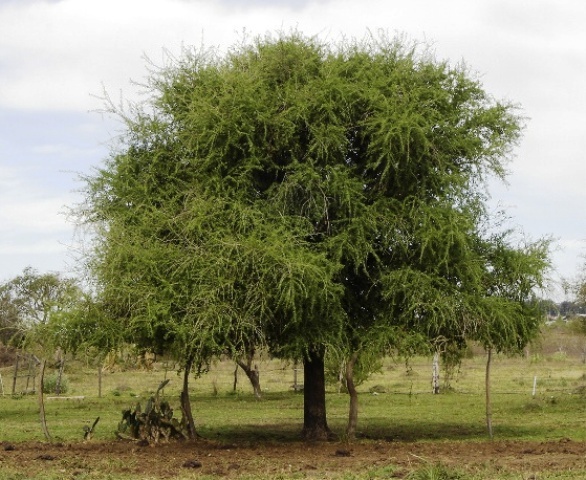 But it quite commonly grows in grassland forests and gallery forests of Western Rio Grande de Sul. In Brazil. The fruits are eaten by local people. Sombra-de-touro trees flower in October November in Brazil. This fruit does not seem to have moved out of Brazil yet. 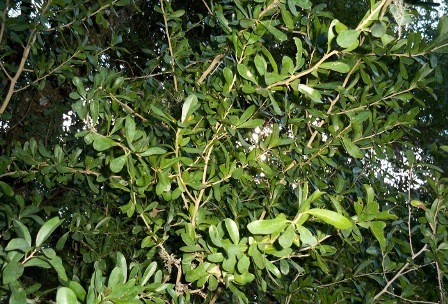 A deciduous tree, thorny, 3-6 m tall with straight axillary 8-15 mm long thorns. Leaves alternate or in fascicles on brachyblasts, chartaceous, glabrous with a prominent principal nerve, 3-6 cm long. 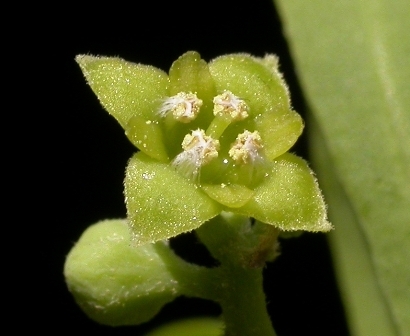 Flowers androgynous, solitary or in pairs, axillary, yellowish in colour, with 7-10 mm long peduncle. Fruit a globose drupe, with a thin skin, a very succulent pulp and a sweet, pleasant flavour. Sombra de touro fruits ripen during the months of February March in Brazil. They taste sweet and are eaten by the local people. However, these are not appreciated like other Brazilian fruits. Sombra de touro fruits are collected from wild growing trees only. This fruit has not been brought under cultivation yet.